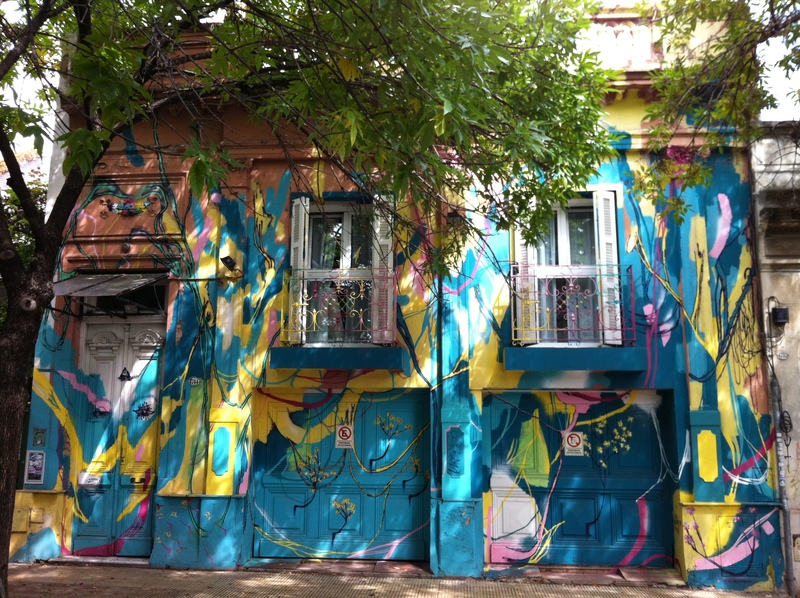 When you walk around the city, a lot of times you’ll come across entire buildings/houses painted in a mural commissioned by the owners. They are usually bright and full of life and mostly whimsical. This one below is in Palermo Hollywood. I think the building is a kindergarden, but I could be wrong. 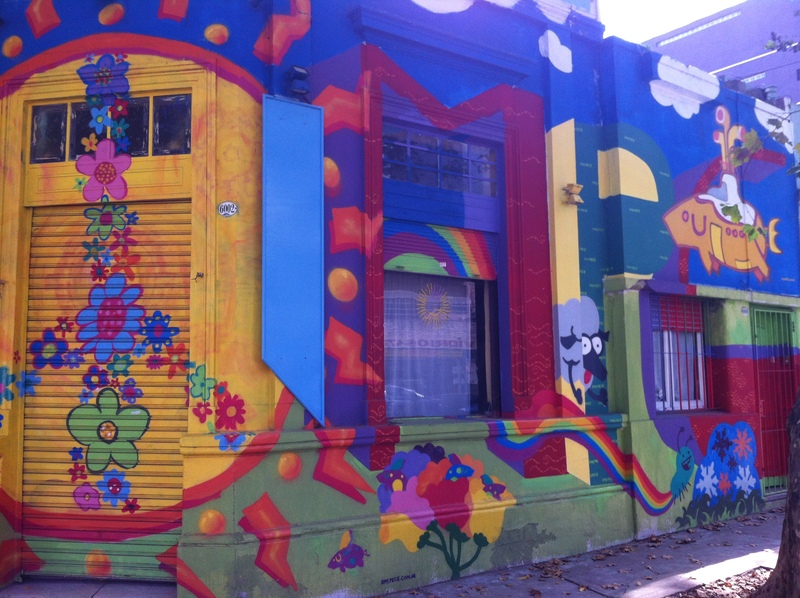 You can also see this artists work on the side of a building near the Mercado de las Pulgas, also in Palermo Hollywood. I don’t remember his name, but I can tell because of the flying pigs. I’ll have to take some pics of his other mural to show you. In the other each pig has a theme. I absolutely love it. One of my favorites in the city. 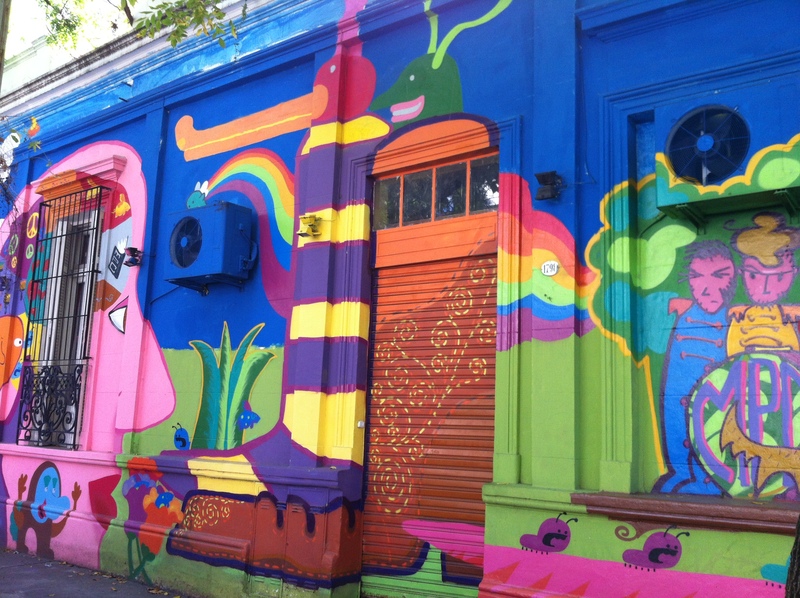 This is another house in Palermo Soho. It’s like a spring time camouflage and fits right in with the surrounding trees. Even the iron on the windows are painted similarly. So beautiful.